In July, we announced to the UC San Francisco community that Arts & Events merged with the faculty and staff wellness program (formerly known as Living Well at UCSF).This is our first quarterly newsletter for the new combined unit, Wellness & Community. We are excited about the future and look forward to communicating with all of you through our quarterly newsletter (sign up here!) and website. Hold Monday, Oct. 8 on your calendar. 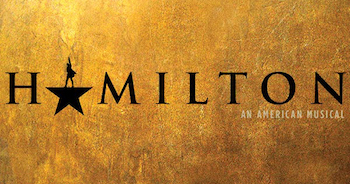 Beginning at 10 a.m., tickets will go on sale for the 7 p.m. performance of Hamilton on Wednesday, May 22, 2019. UCSF faculty and staff: are you stressed out? Join a campus initiative aimed at reducing workplace stress and enhancing our UC community! Drs. Aric Prather and Elissa Epel are co-leading the Stress Free UCSF Study, a large-scale research project examining the relationship between mindfulness and stress in UCSF employees. Participants will receive a one-year subscription to the digital mindfulness application Headspace and the chance to win a Napa vacation! Participation is all online. For more information, visit StressFreeUC.org/UCSF. Faculty, staff, trainees and students are invited to attend a Healthy UCSF Celebration on Thursday, Oct. 11 at Parnassus. The celebration will include a panel showcase of Healthy Campus Network activities, refreshments, and wellness activities (biometric screening, meditation, a Mt. Sutro hike, and more!). The California Academy of Sciences invite children of UCSF employees and students to enter their “Color and Win” contest. Visit the Wellness & Community webpage to download an activity sheet and for more information. Winners will be contacted on Thursday, Oct. 11. UCSF faculty, staff and students will receive exclusive access to the Columbia Sportswear Company Employee Store Sept. 7 through Sept. 30 with savings from 40 to 60% off Columbia, Mountain Hardwear, SOREL and PrAna. For your invitation and instructions, visit our website. Our popular online wellness challenge, Step it Up, will take place Nov. 5 through Dec. 7. This year, we’re bringing back the popular gratitude challenge. UCSF faculty and staff can participate in teams or as individuals. Participants will earn points for physical activity, keeping a gratitude journal, and (optional) maintaining their weight. More information about the challenge is on our website. Save 25% on admission to the San Francisco premiere of the campy “Red Scare on Sunset” at the New Conservatory Theatre Center from Sept. 21 through Oct. 21. Join the Makers Lab for a night of art, food, and creative learning! Makers Lab just launched a crowdfund campaign. Learn more. Learn more about upcoming events at the library at their event calendar. The UCSF Art Show showcasing the talents of faculty, staff, post-docs, students and alumni will return in early 2019.